One of the things I love about p2p lending is due to the platforms being online and most of the early adopters/investors being techies means that lots of people are here online reporting about what they are doing and why, including me. And boy do they love data. I am a finance guy. I only care about data to the degree it helps me make better financial decisions. Among many of these retail/little guy investors, it has become popular to exclude a couple of states in their own self created loan filters but especially California. The data tells them that CA has the most defaults so it should be avoided if we want to make profits. If you think CA has the highest number of defaults of any state, then you would be right. However, it is because CA has by far the highest number of loans issued. 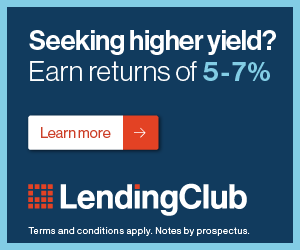 Lending Club reports that they have issued $467 million in loans in CA and the next closest state, NY, is only a little more than half this number at $248 million. (check out the Loan Issuance by State in Statistics). The default rate on all CA originated loans is 4.02%, thanks to our friends at PeerCube, while the total default rate for all LC loans is 3.46%. So is it higher, yes? Tremendously so that we should throw out the baby with the bath water and never include a good quality loan listing from CA, obviously not. Tip #1: I thought this was so important that I'm repeating it. Excluding CA loans means excluding very many good quality loans from your own portfolio. You really shouldn't do it, so Don't. If you think the high cost of living has something to do with the default rate in CA, it might, but such scrutiny is never given to other high cost of living states like NY. MA, WA, IL. Certainly, no one says that they aren't going to do loans in the New York City, Chicago, DC, Boston, Philadelphia or Seattle areas despite those cities having a higher cost of living than just about anywhere in the Midwest or the South. Mississippi has the lowest number of loan originations per capita, at 0.044 or 44 out of 1000. Note that aside from OK and DC, the other 8 states are from the comparatively lower cost of living region of the South. Does this mean that low cost of living means they are less likely to repay because these states are credit challenged? If you said No here, then you'd be right. Credit challenged here means a combination of things like poor credit but also access to credit. Low cost of living is no more of a factor in defaulting than high cost of living with one major exception. That exception is that higher costs of living make it a little easier to get in over your head with high personal leverage (borrowing and debt) than lower costs do. These states above are no more to be excluded for their credit challenges and low cost of living than CA should be excluded for its high cost of living. The quality of each loan listing is what matters. Tip #2: Let's turn this chart on its head. If credit challenge means poor access to credit, then there is an opportunity here for good credit quality listings from these states. True state by state analysis would make these states potentially better than average to invest in as long as they qualify based on our other filters because they have fewer loan choices. Tip #3: Fewer loan choices means they must pay our loans off to increase their credit score and increase their ability to borrow for that home of their dreams or that new car. Fewer choices means our loan is of greater importance to these borrowers. That's good for us. MS and CA are one of the lowest cost of living states and highest cost of living states in the US. The quality of the borrowing profile and the credit analysis techniques that we use to analyze the listings to reduce our risk are much more important than where they live. This is especially true since thanks to my recent articles on Collections and Defaults, we know that most people, most of the time and if they are able to repay will do so. What States Are in Stu's own portfolio? In fact, I have 2 private loans where I used the same credit analysis techniques that I talk about here, 13 on Prosper and 11 on Lending Club, yes only 26 total loans. So let's see how my state by state breakdown shakes out. The state with the largest representation is Stu's Portfolio (thanks to my 1 large private loan) is..........Florida. My large private loan and one of my Lending Club loans are in Florida. Florida has the greatest number of my dollars. My breakdown is pretty even after that with MA with 3 loans followed by IL, FL, TX, LA and NC with 2 and then NJ, OK, MD, IN, PA, MO, NY and GA (where I live) have one. So I have a pretty even disbursement aside from my 1 large FL loan and my 5 loans in CA. My portfolio is a reflection of consistent credit analysis and I have the most loans from CA because they have by far the most loans originated of any state. Fascinating insights, you ought to think about doing a podcast on company and advertising. Sorry for commenting on such an old post, I’ve actually started reading all your old posts first. On this topic, I agree with you 110%. I read all the popular P2P blogs and I see people mention to exclude these X number of states because of high default all the time. You are the first blog that I came across that goes against that convention. This make me think that some investors don’t have the appropriate credit knowledge to effectively filter off the loans most likely to default. If you build a robust credit model, it doesn’t matter what state the loan is requested from. Thanks Wojciech, I’m glad you are enjoying the older posts. Some of those older filtering techniques are proving ineffective now and the idea of trying to build a credit model that manages risk appears to be gaining more popularity, even for smaller retail investors like us. I look forward to hearing more from you.